When it comes to accounting software packages for Small and Medium Enterprises, Intuit QuickBooks certainly holds a large share in the market. 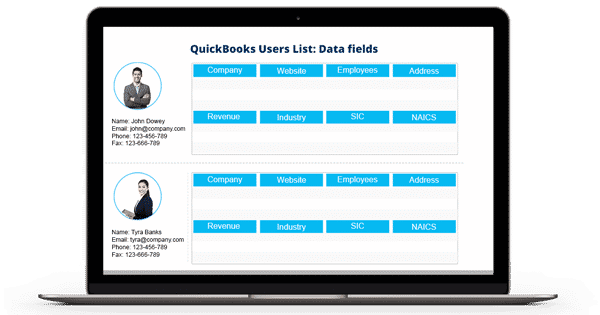 If you are a marketer, solutions/ services provider who is looking for qualitative marketing data to connect with Intuit QuickBooks Customers worldwide, Blue Mail Media’s QuickBooks Users List can help you meet the purpose. We provide one of the most comprehensive, highly accurate and reliable databases that can help you connect with your target audience using multi-marketing channels such as telephone, email or mail. Blue Mail Media’s QuickBooks Users Email Database allows marketers to identify their most valued customers and serve them to the best. We have been able to establish a strong network of database providers across various geographies such as USA, UK, Canada, Mexico, Africa, Asia, Australia, Russia, Europe and others. This enables Blue Mail Media to serve marketers in a global yet local way. To give marketers greater flexibility to execute their multi-channel marketing campaigns, we provide them option choose from our pre-packaged List of QuickBooks Users or get their database customized based on their campaign specific preferences. We follow a stringent process for data collection, verification, and update so that you get the most qualitative database to meet your marketing and business goals.